As a marketer, the phenomenon around the Serial podcast is interesting. Here’s a format, the podcast, that’s been around as long as the Internet itself, but has just now achieved broad acceptance. I don’t need the numbers to know that Serial is likely one of, if not the, most popular, shared and talked-about podcasts to date. But, while I’m focusing on the format, there are other aspects that made Serial great, the least of which is the story the podcast is based on. As much as I love a good story, and we’ve all been challenged with having to tell a lackluster story, if you really look inside this one, the story isn’t that great. I can get a better story watching Dateline or even the Bachelor. If you’re not familiar, Serial is about a homicide that took place in 1999. The key suspect, who was ultimately found guilty, sits in prison in Maryland serving a life sentence. The narrator, a journalist, retraces the activities through the present-day testimony and historical evidence of the trial, with commentary from the convicted, unfolding the evidence before the listener week by week, giving us all an opportunity to be judge and jury in our own heads. It’s not a unique story, but everything else about the story works. The Series – Starting from the beginning of the night in question, all the way through the trial, challenging assumptions, recreating scenes and even uncovering new evidence week by week, episode by episode is a way to really draw people in. I, like many, came to the Serial party late, which gave me a chance to engage in America’s new favorite pastime – binge watching/listening to catch up on all of the episodes. And, there they all were – neatly organized for me on my iPhone in the Podcast app. The Psychology – This water-tourture effect of dripping out just enough content to get you hooked and anticipating the next episode is what makes a great series addictive. A testimony here, a new piece of evidence there, and suddenly you’re hooked. The Target Audience – The audience for podcasts like Serial tend to skew slightly older, making it an interesting medium to deliver content to a specific demographic. Given the characteristics of the audience, they also tend to be more educated and predisposed to stories that challenge their understanding or assumptions – like assuming that the convicted in this case is somehow a sociopath who is deceiving the narrator and all of us. The Format – The type of story that can be delivered in this format typically needs to be consumed by an audience that appreciates the longer format and is likely engaged in another activity while they’re listening to a podcast – on a plane, train or in an automobile. The Shareability – I initially learned of Serial from the lady next to me on a plane. In less than a minute, I was downloading the first episode as our conversation continued. It’s the culmination of the previous aspects of Serial that compelled this stranger to encourage another to get into the experience. There are any number of other stories that can be told in this format. Given the captive audience that typically listen to this type of programming, the podcast lends itself well to any story that unfolds over time. That contains specific key elements of a good story, including key characters, conflict and a clear timeline of events. A good story also compels others to share or co-create. 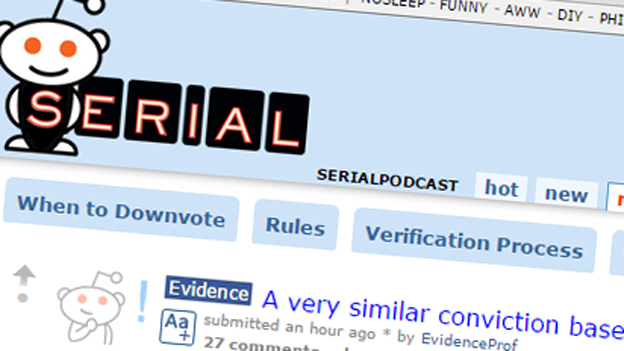 If you’re a fan of Serial, you’ve likely seen the Reddit thread where fans deconstruct the evidence and offer new theories. Even SNL has done a parody of the podcast, featuring Amy Adams. For more on the insights from Serial, this Boston Globe article is a good overview. 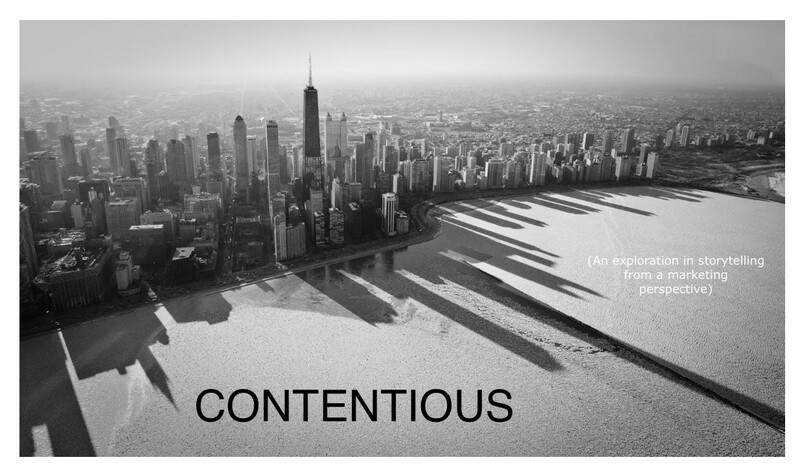 In the end, good content has to be interesting enough to grab attention and compelling enough to share. Serial has all of this in spades.